It goes without saying, that Angeles City has a reputation for its “amazing views”. But on a more serious note, most of us have a fairly good idea of what Angeles is popular for. However, if you ask any resident, they’ll tell a much different story - a story that emphasizes how much more there is to Angeles City, than just one congregated area of girlie bars. Angeles City, like many other cities, hosts a variety of successful business establishments. Anything from small businesses, to multi-billion dollar enterprises, can be found within the city limits. Along with numerous existing businesses, great new developments are currently underway. New developments like Aqua Planet; a humongous waterpark conveniently located in Clark Freeport Zone, with over 25 exhilarating attractions. It’s good for folks of all ages, and has everything one would need for an enjoyable time, e.g., food, shopping, drinks, and all-around fun. Another interesting new development is the brand new Mega Dance Center, being built in Balibago. This complex allegedly will consist of a few high-end discos, a sports bar, and more. Residents and tourists alike, are excited to see the completion of this structure in the coming months, along with many other future developments. Nothing spells Christmas season in the Philippines any better than the World Bazaar Festival, the country’s longest running annual holiday bazaar! Now on its 17th year, everyone’s favourite holiday destination just keeps getting bigger and brighter. As if showcasing over 740 booths of the best brands and all things Christmas still isn’t enough to get everyone excited to visit this year’s bazaar, WBF gives us another irresistible reason not to miss all the excitement as it returns with the much-anticipated Celebrity Pavilion. An area within the bazaar venue dedicated to celebrities who will be setting up their very own booths to sell a wide variety of pre-loved and brand new items, ‘tis the season for bazaar goers to experience what it is like to shop alongside their favourite stars and even purchase merchandise from the stars’ very own wardrobe! Supporting Judy Ann’s testimonial is Mommy Carol Santos herself saying that she has been going to the bazaar for nine years already and she’s always watching out to meet different kinds of people. Also, she said that there is a wide selection of products to choose from which is great for her as she shop for gifts for her family and friends. When asked about his experience as one of last year’s exhibitors at the Celebrity Pavilion, Fourth Solomon of the PBB Teen Edition said that he had a good time and he felt the Christmas vibe during the bazaar. He highly suggests that the bazaar is a great place to spend time with loved ones. As their experiences left an indelible mark in their hearts, Judy Ann along with Fourth are once again joining the roster of celebrities who will be setting up shop at this year’s WBF. Other celebrities expected to take part in this year’s holiday shopping fest are Gladys Reyes, Miles Ocampo, Karen Reyes, Valerie Concepcion, Dimples Romana, Phoemela Baranda and Joj & Jai Agpangan. Among other reasons, the Celebrity Pavilion is a way for Kapamilya stars to give back to the community by taking part in a charity bazaar since part of the proceeds of all WBF shows are for the benefit of the ABS-CBN Lingkod Kapamilya. Very much in line with this year’s theme of “Diverse Stories, One Journey”, seeing celebrities take time out of their busy schedules to come together for a meaningful cause certainly adds another heart warming touch to bazaar goers’ WBF experience. Indeed, it is a reminder that despite our differences, Christmas is the season that brings us all together to celebrate love and channel the spirit of giving. The World Bazaar Festival 2017 is happening on December 3 to 22, 10:00am to 12:00mn during Fridays to Saturdays and 12:00nn to 10:00pm during Sundays to Thursdays at the World Trade Center Manila. 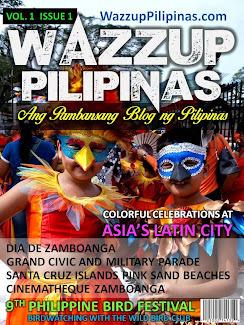 For more information, go to www.facebook.com/worldbazaarfestival. If Rome “The Rebel” Trinidad were in a room full of people, she would incontestably stand out because she is the epitome of a true Asian beauty. Trinidad is a certified eye candy that can grace on the cover of a top fashion magazine, sashay down the catwalk with the latest apparel, or endorse high-end beauty products in a television advertisement. However, Trinidad is more than a pretty face because deep within, she is an authentic martial artist. Trinidad is a practitioner of Sikaran, an ancient martial arts discipline with no written history that originated from Rizal province in the Philippines and was passed on from generation to generation by succession. Unfortunately, Sikaran was not enough to satisfy her growing hunger to learn. Simply put, she wanted something more. Trinidad went on to hone her skills as a martial artist by incorporating different combat disciplines and eventually transitioning to the multi-faceted arena of mixed martial arts. Known by the moniker “Rebel” due to her mental toughness and tenacious approach, Trinidad is set to make her promotional debut under the ONE Championship banner as she dukes it out with rising Thai superstar Rika “Tinydoll” Ishige on the undercard of ONE: WARRIORS OF THE WORLD in Bangkok, Thailand on 9 December. “It is my honor to be a part of one of the biggest mixed martial arts promotions in the world like ONE Championship. Not everybody gets this chance. 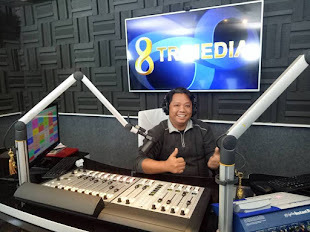 I will do my best for my family and also for my countrymen,” Trinidad said. By strapping on four-ounce gloves, Trinidad sees it as an honor and privilege to represent Philippines in ONE Championship, which is widely considered as the sport’s premier organization in the Asian region. “My bout against a well-revered Thai martial artist like Rika Ishige is a must-win fight for me. My family is going to watch. Not only that, the whole country will be watching as my bout will be broadcasted live worldwide. Surely, I will give everything in this match to bring home the victory,” she stated. Trinidad does not expect any problem continuing her venture into the constantly-growing landscape of martial arts as she believes that she is fully equipped with the task at hand. “Martial arts is my passion. I'm really happy when I share and learn new things about martial arts with others. I'm surrounded by people who support me in training. It makes me stronger. I am ready for this upcoming fight in Bangkok,” she guaranteed. Training with Singaporean martial arts veteran Nicholas “JJ” Lee to bolster her arsenal, the 20-year-old Filipino atomweight believes that her self-confidence will be the key to success as she shares the ONE Championship cage with Ishige. “I know she is a good fighter with a good background in martial arts. Plus, she is more experienced than me. But one important key to success is self-confidence. The trait has always been with me in this journey. I look at things optimistically,” Trinidad conveyed. Although her sights are set on pulling off a successful debut in ONE Championship, Trinidad is likewise standing up for women’s empowerment by breaking down gender barriers. Trinidad stressed that her maiden ONE Championship cage appearance should also serve as a springboard for women to understand they can truly do anything if they put their minds and hearts into it. “Recently, female fighters in Asia have been given several avenues to showcase their skills and what they are capable of in a world-class organization such as ONE Championship. Angela Lee and others paved the way for other female fighters like me. I am here to continue what they’ve started,” she stressed. Even if gender parity continues to be a serious hot-button discussion, Trinidad pointed out that martial arts is a great starting point to bring down the barrier. According to Trinidad, seeing a woman succeed in a sport wholly dominated by men for the past 20 years is just an example of what is possible. “I would like to continue this campaign for everyone who doesn't understand the beauty of this sport. Martial arts is not about fighting. Its real aim is to empower both men and women. We’ve already seen what women can do inside the cage. It’s a high time to unleash our full potential in this sport,” she asserted. Over the past decade, women’s martial arts rose from relative obscurity to noticeable heights that many could not fathom in such a short span of time. The once male-dominated sport has been infiltrated by women equipped with equal prowess to engage in high-testosterone action, at times even with more gusto than their male counterparts. After years of being told that they “just weren’t good enough” and that there “wasn’t enough girls to form a legitimate bracket”, women are finally gracing the biggest stage of the sport. While the negative reputation of women’s participation in combat sports has declined inch-by-inch, Trinidad suggested that it still needs to be promoted for the stigma to totally diminish. “It needs more opportunity. I think that there are young girls who are probably interested in getting into it, and we need support from men and women to encourage to let them go to the gym,” she maintained. As she continues to open eyes and introduces legions of already passionate enthusiasts to the burgeoning world of Asian martial arts, Trinidad seeks to exemplify the utmost confidence of a woman on a global stage at ONE: WARRIORS OF THE WORLD on 9 December. “The important thing for success is self-confidence. The key to self-confidence is preparation, and I am well prepared for this fight. If I have good preparation, I can fight anybody. And for sure, I can walk out victorious,” she ended. Get ready for that one-of-a-kind entertainment as host Nick Cannon shares more viral videos in the latest season of the high-energy reality series "Caught on Camera with Nick Cannon" which premieres on AXN this December. A continuation of the original series but with a modern spin, the new season features even more unbelievable footage caught by cell phones, security cameras, news crews and dash cams across the globe. Like the original series, this update features compelling interviews with those who lived through the remarkable events and captured them for the world to see. Season three showcases the most thrilling videos out there – from wild weathers to close calls, from adorable kids to amazing people, from extreme sports to epic stunts, from experiments gone wrong to heartwarming reunions, and more! Caught on Camera with Nick Cannon Season 3 premieres on December 11, every Monday to Wednesday at 7:55pm, first and exclusive on AXN. TravelBook Magazine, the leading free magazine for Philippine destinations and hotel accommodations, has an amazing gift for you for the holiday season! In partnership with Boulangerie22, readers of the TravelBook Magazine may redeem one frappe for free by simply presenting their copy of the December issue to participating Boulangerie22 establishments from December 1, 2017 to January 31, 2017. Readers may choose from these seven (7) exciting flavors: Chocolate Espresso Crème Frappe, Double Espresso Crème Frappe, Strawberry Crème Frappe, Taro Crème Frappe, Blueberry Crème Frappe, Matcha Crème and Red Velvet. Apart from this exciting promo, the December issue of TravelBook Magazine is packed with exciting topics that every traveler will surely enjoy! Get to know more about the magical world of Enchanted Kingdom! 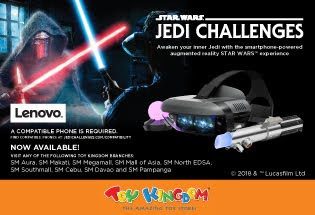 Get insights on some of its top and exciting rides plus additional tips on how to enjoy your Enchanted Kingdom experience more. Discover a new set of tours and activities that you can enjoy with your friends and family! You may also get recommendations on hotels that is ideal for your holiday staycation! 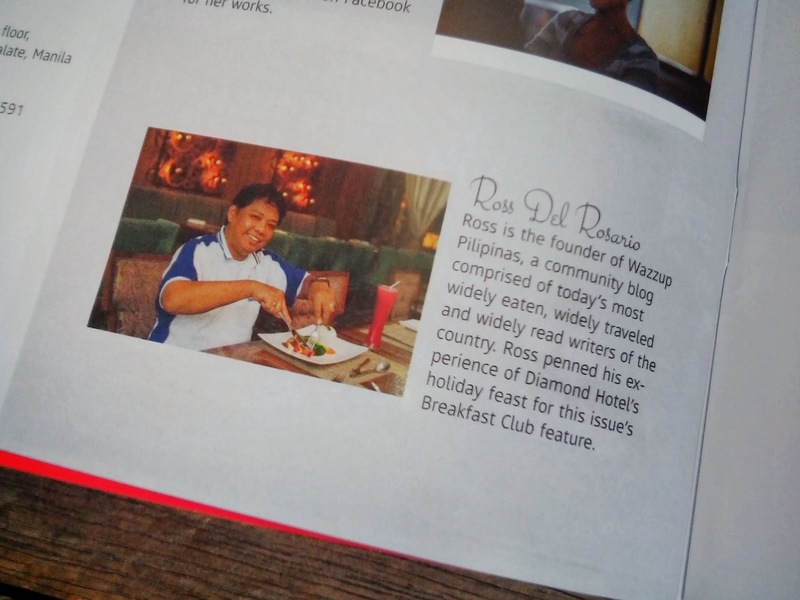 Grab a copy of TravelBook Magazine in some of the leading coffee shops in Metro Manila particularly at The Coffee Bean & Tea Leaf, UCC Coffee Shops and Bo’s Coffee. You may also get a copy at Petron service stations, SM ePlus booths in SM Cinemas, Grab cars and Century City Mall concierge. To see full mechanics and terms and conditions of the promo, please visit www.travelbook.ph/blog/boulangerie22. Thirty-five vegetable farmers were hailed as “farmer heroes” by leading tropical vegetable seeds company East-West Seed recently to commemorate their 35th Anniversary. The awarding capped East-West Seed’s three-month nationwide search for 35 “farmer heroes” who have achieved success, made significant contributions to their communities, demonstrated innovativeness in adopting new technologies, and could serve as role models of other farmers on how vegetable farming can enrich lives. The search spanned 18 regions with over 800 farmers recognized as “Regional Champs”. From the pool of “Regional Champs”, the 35 Farmer Heroes were selected. The winning farmers are: Lino Kitongan (Mountain Province); Jose Madriaga (Ilocos Sur), Eduardo dela Cruz, Jr., Gabby Retuya and Bonifacio Bautista (Pangasinan); Rodolfo Corpuz (Cagayan); Ambrocio Dela Rosa Juan, Jr. (Isabela); Jessie Santiago (Quirino); Janet Arbuleda (Nueva Vizcaya); Sotero Gapac, Rodolfo Abeleda and Victorino David (Nueva Ecija); Johnny Gatuz and Danny Mateo (Bulacan); Joselito Tibayan (Cavite); Gerry Mandac (Oriental Mindoro); Jesus Carlos (Occidental Mindoro); Monte Manalo (Batangas); Florencio Sera and Angelito Mendoza (Quezon); Henry Rafael (Albay); Felizardo Ramos, Jr. (Camarines Sur); Helen Cullo (Aklan); Leonila Sugarol (Cebu); Romeo Mazo (Leyte); Temoteo Ardiente (Misamis Occidental); Larry Lomosad (Zamboanga del Norte); Jonard Octat and Rubisper Udal (Bukidnon); Rolly Bagona, Sr. (Davao Oriental); Julie Tirando (Davao del Sur); Johnny Tolentino (South Cotabato); Dominic Paclibar (North Cotabato); Larissa Barlisan (Agusan del Sur); and Ruben Ragas (Agusan del Norte). “We want to express our gratitude to the Filipino farmers who have supported us all these years by celebrating their success, innovativeness, entrepreneurial spirit, and hard work. Their remarkable qualities uplift not just the lives of their families but also the whole local vegetable industry,” said Henk Hermans, general manager of East-West Seed Philippines. Through their stories, we also want to inspire others, especially the youth, to engage in farming and become successful vegetable farmers” Hermans added. During the event, East-West Seed also recognized 35 outstanding distributors for being East-West Seed’s loyal partners in improving the lives of Filipino farmers. In a marketplace where the selfie is king and Instagram reigns supreme, high-end cameras of smartphones has been among the very first features that users look for when purchasing a smartphone. We are always anticipating the next development and availability of high-end built-in cameras that could replicate the quality of DSLR. The Portrait Master Infinix Zero 5, was recently launched in the Philippines on November 28, 2017 at Brick and Mortar Local Kitchen + Bar located at the Fort Strop of Bonifacio Global City (BGC). Their flagship device, the most high-end and technologically-advanced product of Infix Mobility, will be available at a special introductory price of Php13999, will exclusively be sold at Lazada.com.ph on December 12, 2017. Infinix is very proud of the smartphone's dual camera that uses both a 12 MP wide-angle lens and a 13 MP telephoto, while the front-facing camera has a massive 16 mp selfie camera. It has 2x optical zoom and a 5x digital zoom, and an f/2.0 aperture. There is also a special Portrait Master Mode that uses an RGBW sensor and multi-frame noise reduction technology to assist users in capturing the perfect shot. E-SMART GRID MO: Participants strike the “E-Power Mo” pose during the Smart Grid Forum 2017 held last November 27-29 at Fontana Hot Spring Leisure Parks in Clark Pampanga. A comprehensive road map for the implementation of smart grid in the country was drafted to pave the way for policy creation towards more consumer empowerment. The Department of Energy (DOE) is accelerating efforts to synchronize the adoption of smart grid technologies in the country, which kicked off through a forum held in Clark, Pampanga on November 27-29. 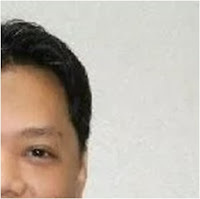 “For us to guide the consumers, the service providers and the regulators, we should not lose sight of the basic concept that smart grid is simply a tool for the consumers and energy users to be more active and more efficient in the utilization of energy,” Fuentebella said. Fuentebella also emphasized that despite their complexity and technical diversity, the smart grid policy should place the consumers first in driving its design and implementation. The three-day event enabled the DOE to formulate a road map covering the short-term (2018), medium term ‎(2019-2022) and long term ‎(2030-2014) towards achieving the smart grid vision of the Philippines for 2040. Day 1 of the forum covered the presentation of the smart grid global landscape and best practices. Thereafter, representatives from the transmission, distribution and generation sectors shared their on-going smart grid initiatives. Day 2 organized technical working groups (TWGs) and break-out sessions covering (1) Consumer Empowerment, (2) Power System Operation, (3) Sustainable & Renewable Energy, (4) Standardization, (5) ICT & Cybersecurity, and (6) Regulatory Support. This enabled the DOE to solicit more inputs from the participants. The output of the TWGs became the bases for the holistic and comprehensive formulation of the Philippine smart grid roadmap which was presented to the E-Power Mo Conference on Day 3. Around 150 participants attended the 3-day event. It included the DOE officials, technical staff and high ranking officers and personnel from the stakeholders of the power sector. The USAID B-LEADERS facilitated the exchanges of ideas of the participants. The Smart Grid Forum is part of the DOE’s “E-Power Mo” campaign which educates stakeholders and consumers on their options towards a safer, wiser and more intelligent utilization of resources through the combination of energy and Information and Communications Technology (ICT). Since its founding, Waze has been routing automobile drivers, helping them find optimal routes, avoid traffic, get arrival time estimations and more. 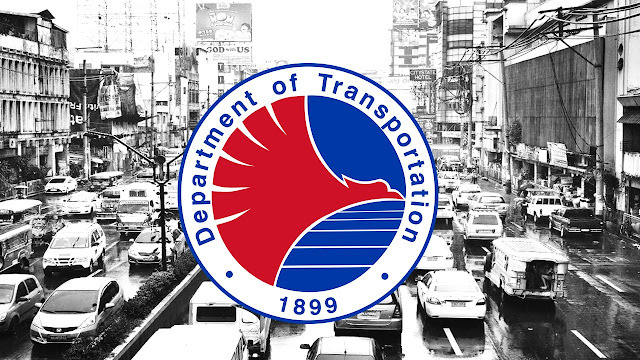 A few years ago, Waze added the “Taxi” vehicle type to better serve professional drivers who can access roads otherwise restricted to private drivers. Now, Waze is adding a new vehicle type: motorcycle. The new addition comes primarily as a way to ensure that all motorcyclists are able to navigate through roads more safely. Easy navigation without touching the phone – to ensure a safe ride, all motorcyclists can utilize voice commands so they don't need to touch the phone while docked/they're driving. To turn on routing for motorcycles, visit Settings > Vehicle type and tap “Motorcycles”. The updated app will now enable Wazers to be in a safer riding environment. Drive times, routes and roads are vary between automobiles and motorcycles. 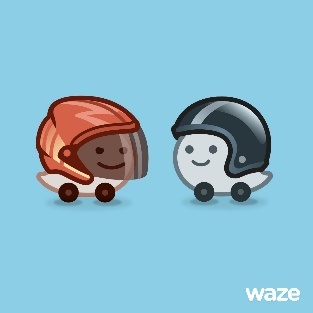 By including a new vehicle type, Waze expands its support to include a driving experience unique to motorcycle navigation. Due to their size and agility, motorcycles are an efficient and economical solution for many living in busy urban centers. They are becoming more useful in European cities, where automobiles are barred from accessing narrow roads. Meanwhile, in countries located in the APAC region, motorcycles are a primary transportation vehicle. This new feature answers the call made by countless Waze fans, the world over. By adding a distinction within vehicle types, and adding motorcycles to the group - data collection will increase in accuracy, and all drivers regardless of car type will benefit. All Wazers are encouraged to enter their destination as they are stationary in a safe spot before following directions to an end destination. Belle Kay Loyola‘s short film Dalit (Poison) topped the open category of the inaugural Sine Negrense: Negros Island Film Festival awards night held at SM City Bacolod Cinema 4 last November 29. 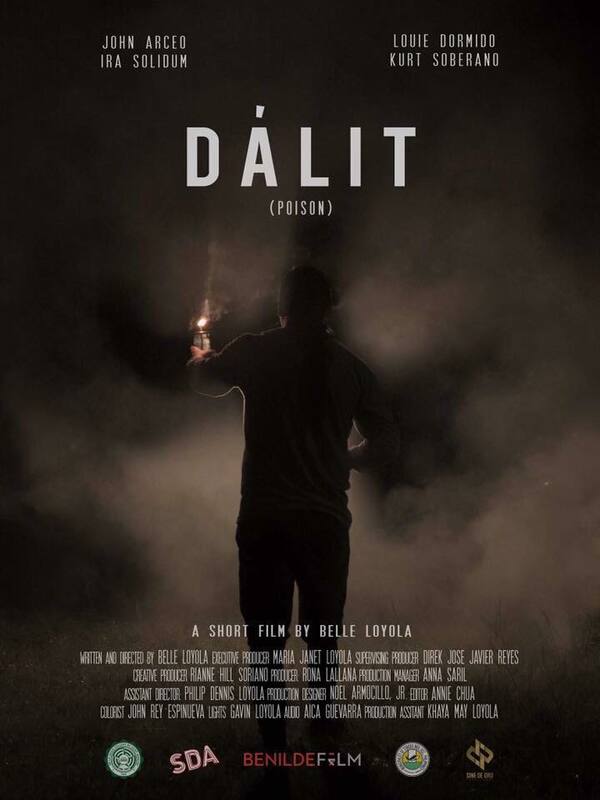 Dalit, which tells the story of a man who has healing abilities and how these affect his personal life, won Best Film, Best Director for Loyola, Best Production Design for Noel Armocillo, Jr., Best Actor for John Arceo and Best Supporting Actor for Louie Dormido. Loyola’s thesis film at the De La Salle-College of Saint Benilde Digital Filmmaking Program beat Adobo by Val Vestil, Alibungan by Matthew Piodena, Five Sorrowful Mysteries by Shannan Gonzales, Happy Birthday by Gkie Erebaren, Hawud by Paul Venzi Florendo, Kaasab by Vince Divinagracia and Handuraw by Gilbert Basilio for the top prize. Vestil and Florendo are from Negros Oriental while the other filmmakers are from Negros Occidental. 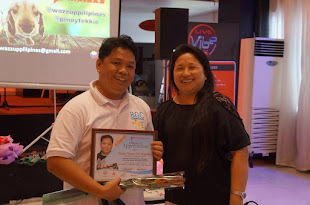 Alibungan took home the Jury’s Choice, Best Screenplay and Best Editing awards. Denli Chavezreceived the Best Actress trophy as Jane, a girl with a traumatic experience, in Happy Birthday while Kaasabbagged Best Musical Score and Best Supporting Actress for Kim Agnes. Five Sorrowful Mysteries won Best Cinematography while Hawud won Best Sound Design. Loyola, who was inspired “by cultural and historical stories as well as Filipino beliefs” in making the film, wants to show how it is like to live in a place where people depend on faith and folk healers. “I feel so happy that I was given the chance to share my film to my very own hometown and to the people I (once) left behind while studying Filmmaking in DLS-CSB,” the recent BenildeFilm graduate said. “It’s funny how this film was once just a concept on my mind and for the past months I have proven that it’s not about who you are as a person — it’s about the perseverance and positivity that you would apply on it and the rest will just flow,” Loyola added. 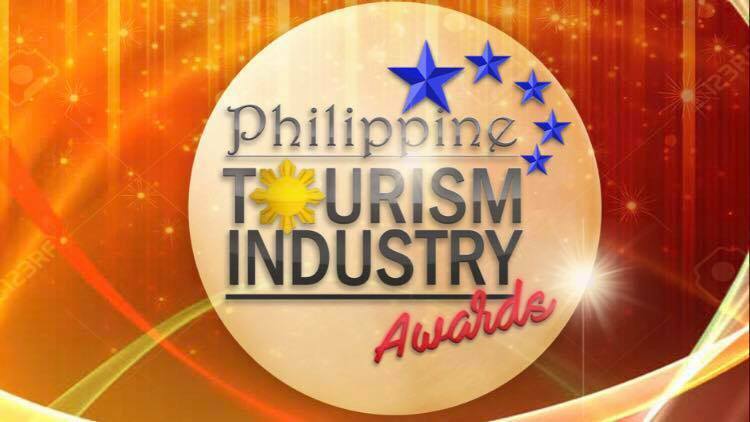 She won 20,000 pesos for her victory while Piodena got 10,000 pesos for winning the Jury’s Choice Award. 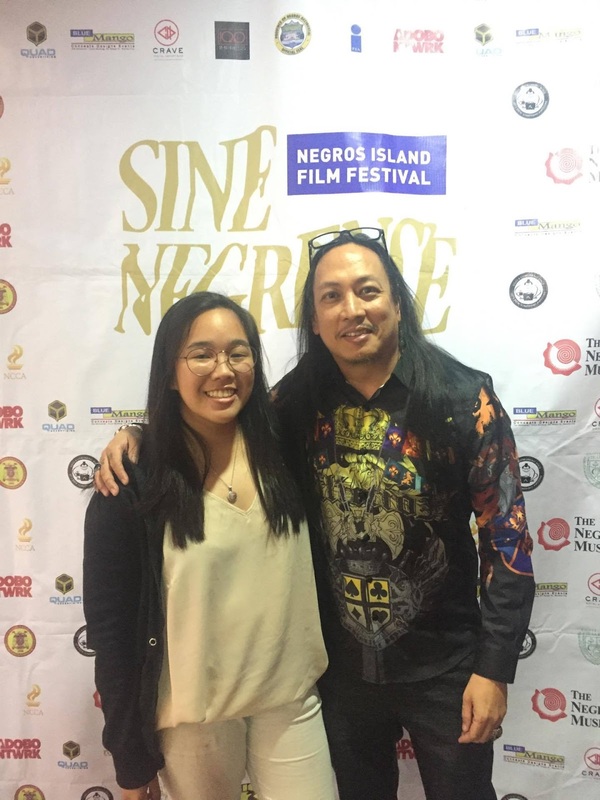 Meanwhile, Singgit sang Nalisdan by Carlo Navarretefrom Silay Institute won Best Picture, Best Screenplay and Best Actress for Lorince Gonzales in the Intercollegiate Category, which are for student works from schools within the region. Asu by Lorenzo Dilagfrom Colegio San Agustin-Bacolod got the Best Director and Jury’s Choice awards. Navarrete and Dilag brought home 10,000 and 5,000 pesos, respectively. Kuebiko by Lourdes Antenor from University of St. La Salle bagged Best Production Design, Best Editing and Best Supporting Actor for Charles Ea. 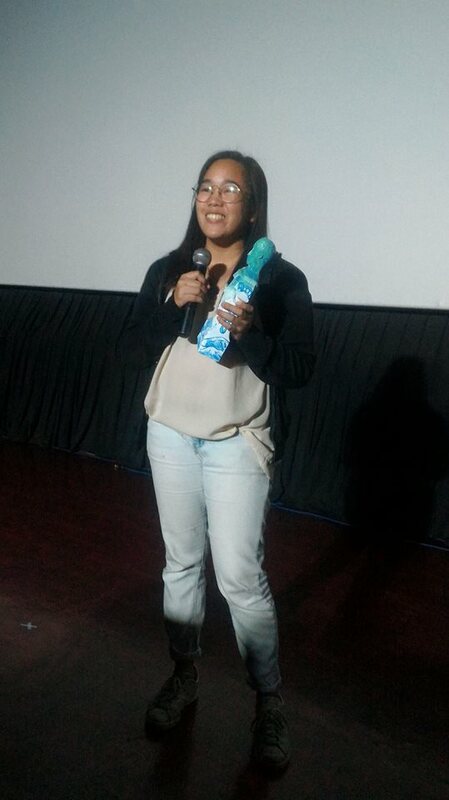 Kapit,helmed by Gemma Acaling from the Carlos Hilado Memorial State College of Talisay City, won Best Cinematography and Best Actor for Herbert Montero. Landong by Joaquin Angelo Alpas from CSA-B won Best Musical Score while Pangalap, directed by Jessie Soberano and Mark Labrador of the Department of Education Division of Sagay City, brought home the Best Sound Design prize. The other student entries are Nene by Stephanie Marie Aliday, Bihag by Franklin Latriz, Hustisya Diin Ka? by Kathy Rose Magan and Hangkat sang Kapigaduhon” by Renz Osianas, also from CHMSC like Acaling, and Paglas-ay sang Kalamay by JJ Guilaranfrom USLS. 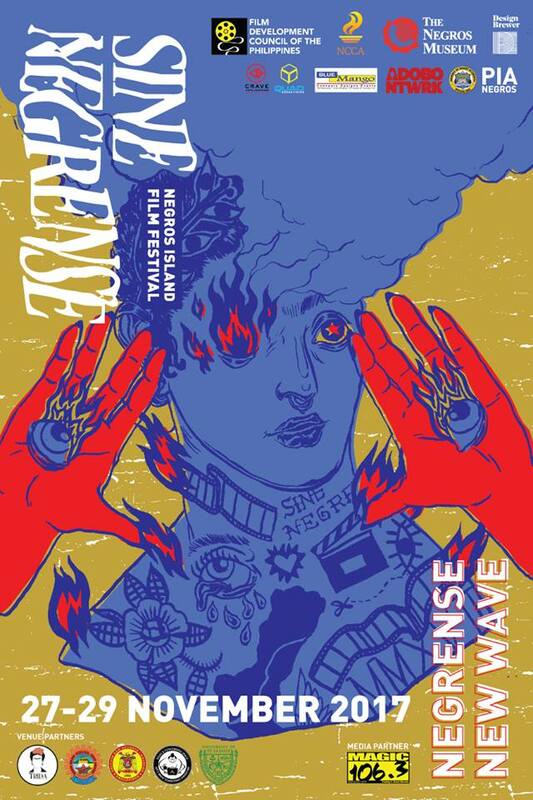 “Sine Negrense is a venue, a platform for local filmmakers to hone their craft. It’s a good way to promote local talent,” festival director Tanya Lopezsaid. The film festival hopes to bring out a new generation of filmmakers and enthusiasts, as well as cultivate an informed public on the importance of cinema and storytelling in terms of national identity, culture and heritage. 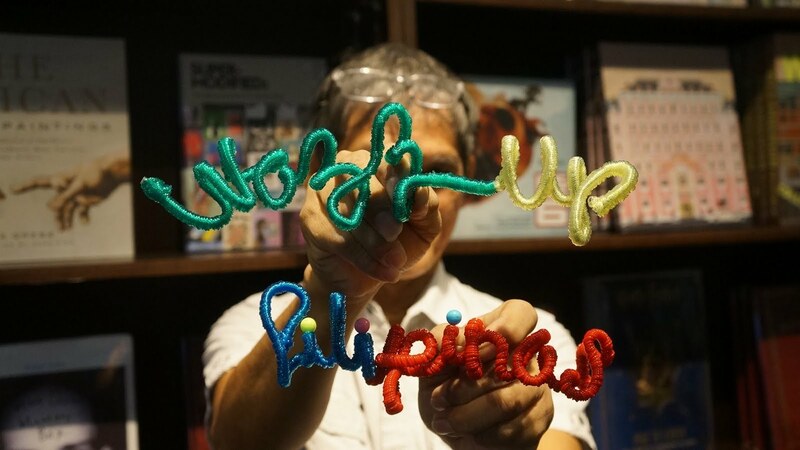 Lopez got the able support of program director Adrian Torres and co-festival director Rodolfo Banjo Hinolan in organizing the event, with the help of the Film Development Council of the Philippines, Negros Museum, Design Brewerand the National Commission for Culture and the Arts. The film festival opened last November 27 with the screening of Peque Gallaga‘s Sonata, which was shot in Negros Occidental. A film forum, led by NCCA Committee on Cinema officers Patrick Campos, documentary filmmaker Babyruth Villarama and film critic Tito Valiente, was held at the House of Frida on the second day. SineNegrense entries and exhibition films directed by Erik Matti, Lawrence Fajardo, Borgy Torre, Manny Montelibano, Rosswil Hilario, among other Negros-born filmmakers, were also screened at the USLS and CSA-B campuses. The screenings continued at CHMSC Talisay Auditorium on the third day, culminating in the awards night, where a total of 31 awards were given. In the photo (L-R) His Excellency Vongthep Arthakaivalvatee, Deputy Secretary General of ASEAN for Socio-Cultural Community, Claus Andresen, President and Managing Director of SAP Southeast Asia, Elaine Tan, Executive Director of the ASEAN Foundation and Eugene Ho, Head of Corporate Affairs, SAP Southeast Asia. 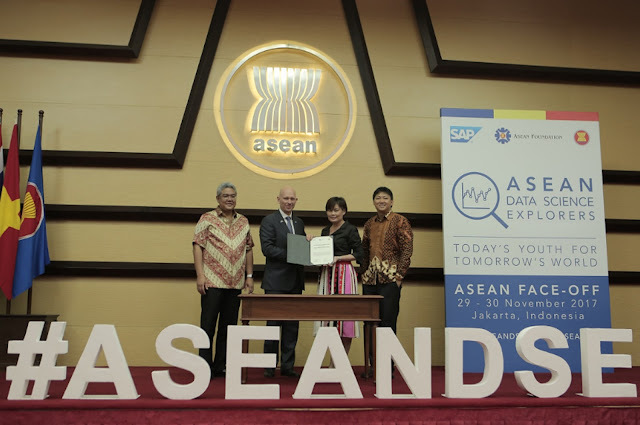 The ASEAN Foundation and SAP SE (NYSE: SAP) today announced the continuation of their strategic collaboration into 2018, following a successful collaboration in its first year to bring about social impact in ASEAN. Under the Memorandum of Understanding (MoU) between the ASEAN Foundation and SAP, both organisations will jointly roll out initiatives under two strategic pillars next year, namely Education and Entrepreneurship. The initiatives are aimed at equipping ASEAN youths with the skills they need to tackle society’s problems and thrive in the digital economy; build the capacity of innovative social enterprises that put young people on the path to successful careers and build a skilled workforce for the IT sector with training and workforce development programmes. The ASEAN Data Science Explorers competition attracted 804 participants from 112 institutions across the 10 ASEAN member states. In the lead-up to the competition, students were trained in SAP’s Analytics Cloud software through a series of webinars and in-country seminars, with more than 600 students accessing the platform. The competition solicited data-driven insights and ideas on the most pressing social issues in the region. Some highlights include the submission by Team “Omotesando” from Indonesia that aims to accelerate financial inclusion as a solution to poverty eradication through branchless banking, and the submission by Team “Tonkar Data” from Laos which proposes the adoption of smart and vertical farming in ASEAN to improve productivity in agriculture. The Youth Volunteering Innovation Challenge (YVIC), under the theme “Impact ASEAN”, supported young volunteers throughout the ASEAN region in their journey to catalyze youth-led innovation for social impact and sustainable development by providing access to mentors and capital they need to start or scale up their projects. 29 young volunteer innovators from ten teams across ASEAN participated in the YVIC 2017 as part of a collaborative effort by the United Nations Volunteers (UNV), United Nations Development Programme (UNDP), the International Labour Organisation (ILO), the ASEAN Foundation, the ASEAN Secretariat, SAP and with the close support of the Government of Germany. Under the collaboration, SAP supported 9 of out the Top 50 ASEAN social enterprises through two programmes namely the SAP Social Sabbatical and NUS Crossing the Chasm Challenge. SAP employees provided mentorship and consulting to help the enterprises run better. “Through this synergetic collaboration, we have been able to leverage resources from both organizations to inspire ASEAN youths to actively participate in efforts towards driving a sustainable future for ASEAN. With digitization being the pivotal force in today's ASEAN economies, both the public and the private sector need to work together to impart digital skills to the young. SAP has been a strong supporter in making consistent effort to move the needle in this respect; we hope to continue to collaborate with them to prepare ASEAN’s workforce for the future,” said Elaine Tan, the Executive Director of the ASEAN Foundation. The MoU was first signed on May 9, 2017 at the ASEAN Foundation headquarters in Jakarta, Indonesia. Since then, the ASEAN Foundation and SAP have been executing on all the programmes under the three pillars. “2017 has been a special year for the ASEAN community, with ASEAN turning 50 and the ASEAN Foundation celebrating its 20th anniversary. 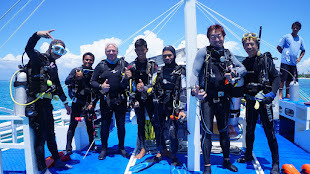 The community has come a long way and through this collaboration, SAP is proud to have been part of this journey to help ASEAN write the next chapter towards a more sustainable future,” said Claus Andresen, President and Managing Director, SAP Southeast Asia. “Helping the world run better and improving people’s lives is at the heart of everything we do at SAP and we are pleased with the outcomes of the collaboration in the first year. I am confident that the renewal of this collaboration will help scale our ambitious CSR programs to create even greater positive impact across the region." In light of Singapore’s chairmanship of ASEAN in 2018, the ASEAN Data Science Explorers 2018 regional finals will be held in Singapore, with Singapore’s Infocomm Media Development Authority (IMDA) as a hosting partner. The ASEAN Data Science Explorers targets tertiary students in all 10 ASEAN member states. It is designed to promote awareness and appreciation of the ASEAN community amongst young people. Student participants are given access to ASEAN data as well as SAP Analytics Cloud platform, which allows them to better derive data-driven insights. In 2018, the programme aims to reach out to 5,000 youths across ASEAN, with the objective of training them in data and analytics skills. “Singapore is pleased to host the ASEAN Data Science Explorers regional finals next year. It is one of the events that dovetails with the themes of Singapore’s ASEAN Chairmanship, which will focus on Resilience and Innovation. By encouraging digital literacy among our youths, the ASEAN Data Science Explorers programme will support ASEAN’s efforts to harness digital technologies to secure a better future for our citizens,” said Ambassador Tan Hung Seng, Singapore Permanent Representative to ASEAN. Citi Property Management and Realty Corp. is set to open its first and newest entertainment mall with a gross area of 20, 000 square meter of retail and commercial spaces by December 8, 2017. 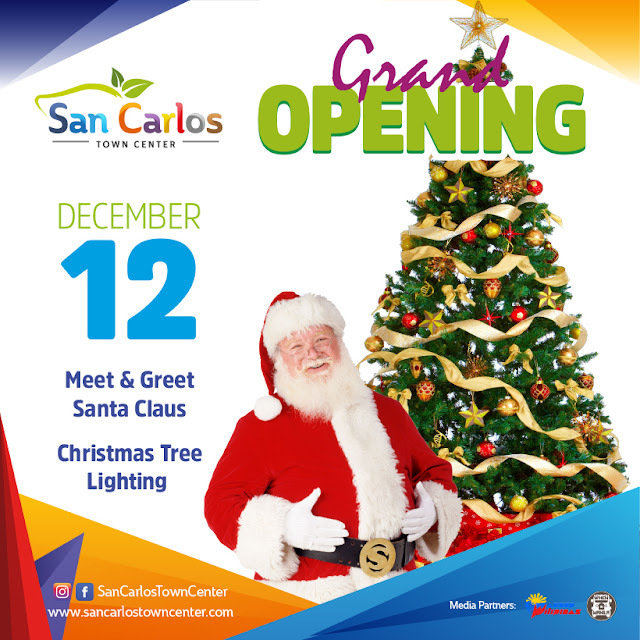 San Carlos Town Center is a two-level entertainment mall and was strategically located at the heart of Pangasinan, Rizal corner Zamora Street San Carlos City. It is set to redefine entertainment, lifestyle and retail by offering the trendiest indoor food park, fabulous array of local and international retail establishments, mouth-watering collection of dishes, cool and latest gadgets, and exciting games from game center. Anchor tenants include Robinsons Supermarket, Robinsons Appliances, and Handyman which are truly reliable when it comes to fresh-find goods, durable appliances and tools for home and improvement. Set to open before the end of the year, San Carlos Town Center will have its own certified crowd-pleaser artsy and instagram-worthy indoor food park with classic and millennial interiors. This food park features new food concepts, quick bite and on the go food and offers a wide array of local and international cuisines that will surely delight the consumers without breaking the bank. 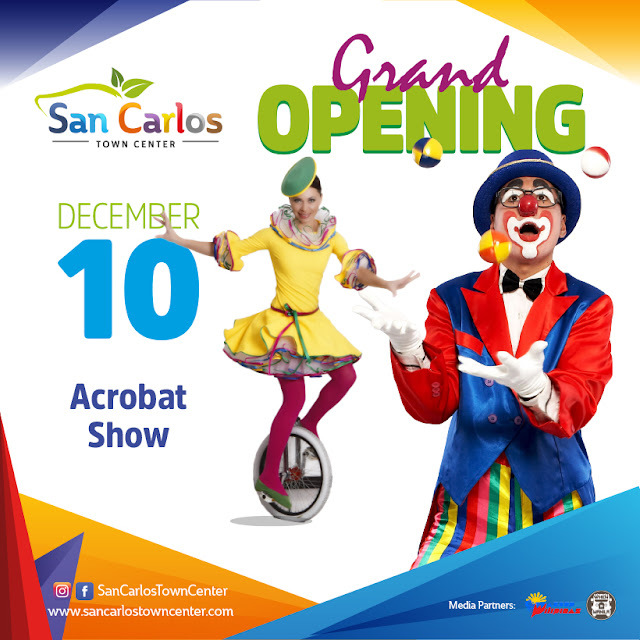 “We will bring together the trend and exciting events in one destination”, -San Carlos Town Center, Marketing explains. 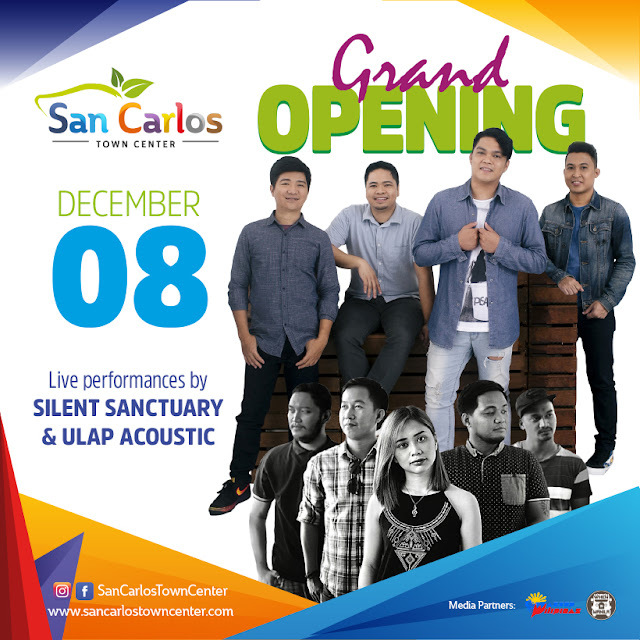 San Carlos Town Center will showcase five days exciting events on its Grand Opening including Zumba Party, Carnival Themed shows and activity, Christmas Tree Lighting, Santa Meet and Greet and featuring the most requested band, Silent Sanctuary and the country’s booming love team, Bianca Umali and Miguel Tanfelix. 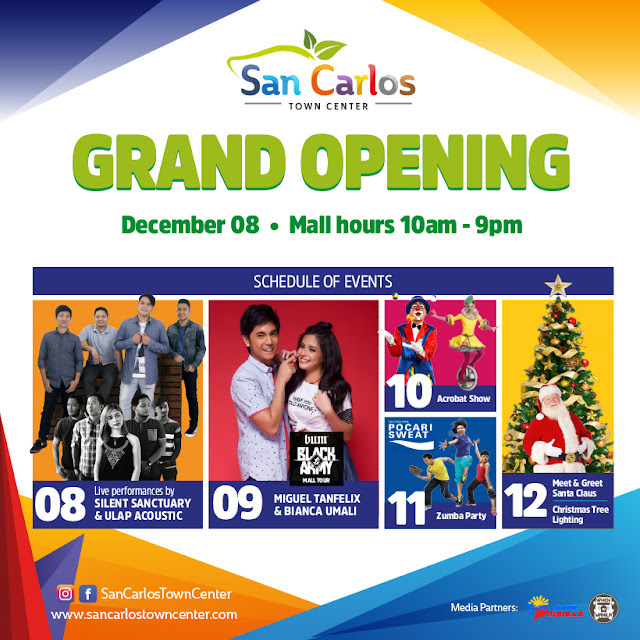 For Grand Opening updates, visit our Facebook Page and Instagram Account: SanCarlosTownCenter. There has been quite the surge in food park opening this year and you’re lucky if you’re living at San Carlos City, Pangasinan! What?! 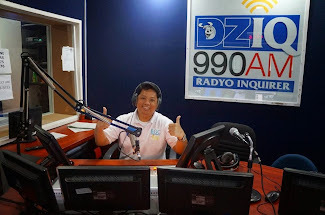 San Carlos City, Pangasinan? Yes! You’re reading it right. San Carlos Town Center will be opening the first ever indoor food park in the city. With a seating capacity of two hundred fifty persons perfect for friends and family hangouts, and a wide variety of affordable and mouthwatering food line up from local and international cuisine. This certified crowd pleaser food park will let you experience the instagram worthy and artsy vibes from its classic and millennial interiors designed to satisfy not just your stomach but your eyes as well. 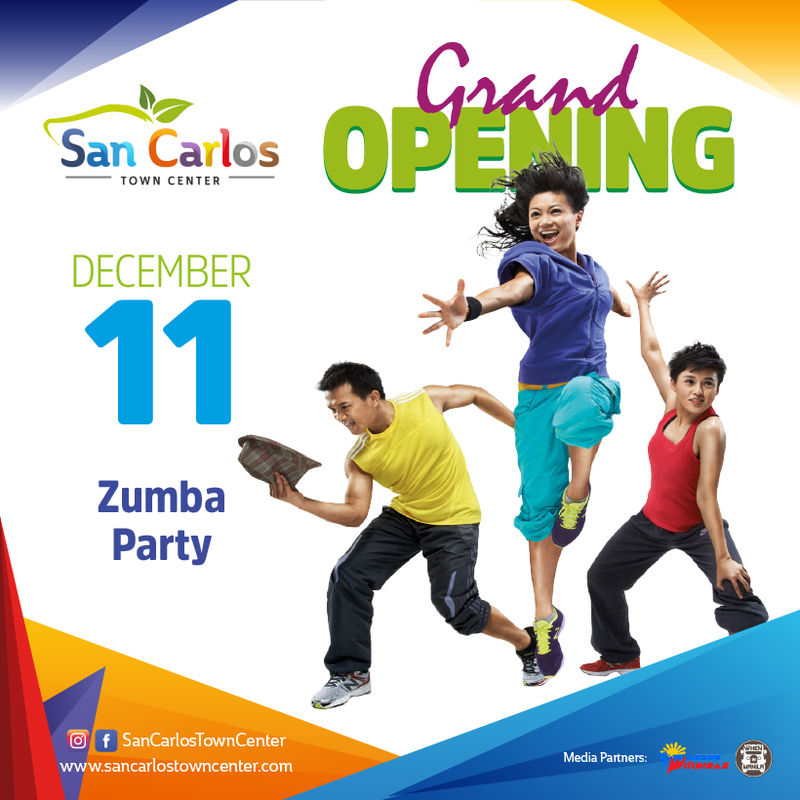 San Carlos Town Center food park is strategically located inside the mall for consumer’s convenience and comfortability. What are you waiting for? Visit us at 2nd floor, San Carlos Town Center and experience the best food park in town! Christmas is definitely in the air in Taal Vista Hotel! 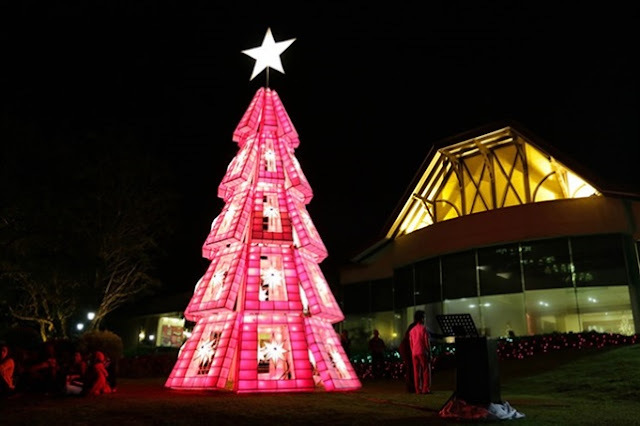 Last November 18, the hotel marks the beginning of the Holiday season with the annual Christmas Tree Lighting celebration. 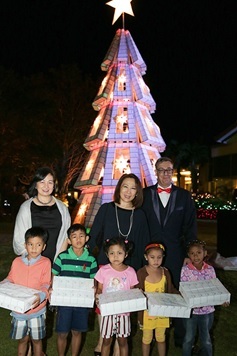 The massive white Christmas tree was lit up by Ms. Elizabeth Sy, President of SM Hotels and Conventions Corp., Ms. Peggy Angeles, Executive Vice President of SM Hotels and Conventions Corp. and Mr. Richard Gamlin, General Manager of Taal Vista Hotel. The celebration was highlighted with musical performances by Kyle Echarri, Monique delos Santos and the Virlanie Voices under the direction of Choirmaster and musical director Ms. Ma. Lourdes Hermo. As the night comes to a close, the hotel spread the Christmas cheer by distributing best-selling items from the hotel’s Pasalubong gift collection. It was a simple yet meaningful gesture to show appreciation to valued guests and patrons for 78 years and counting. The event was attended by approximately 200 guests from media, corporate partners and clients, regular guests and affiliates of SMHCC. Taal Vista Hotel is located along Kilometer 60, Aguinaldo Highway, Tagaytay City 4120 Philippines. For inquiries and reservations, please call +63 (2) 917 8225, +63 (46) 413 1000 or +63 (917) 809 1254. 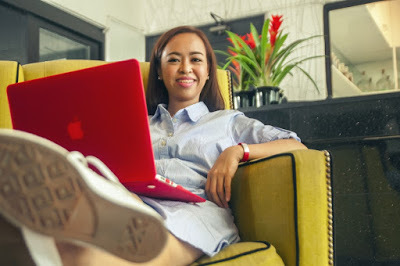 Stay connected with Taal Vista Hotel. Visit our website at www.taalvistahotel.com and join us on Facebook (facebook.com/taalvistahotel) and Twitter and Instagram (@taalvistahotel). Re-awaken the senses. 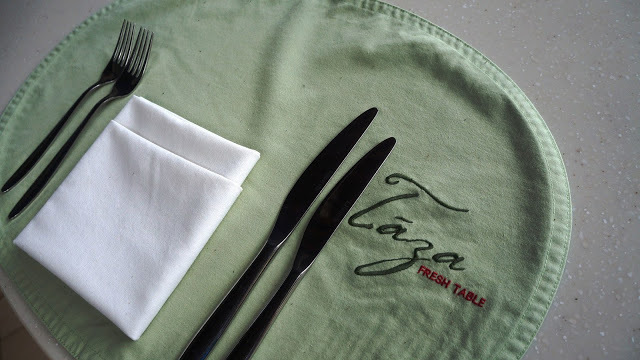 Taza Fresh Table continues to earn its position as one of Tagaytay’s best contemporary dining experiences. With Chef Jayme Natividad’s newly curated seasonal menu, he is giving you more great reasons to visit Taal Vista Hotel. With the concept of organic, garden-to-table cuisine and inspired by the yuletide festivities – a Christmas feast using the season’s best ingredients. The menu includes Octopus and Bone Marrow Pappardelle, Blue Marlin, Lamb Chops and Tablea Alfonso Opera Cake among many others. Taza Fresh Table is located at The Ridge overlooking the Taal Lake and Volcano. The country garden inspired restaurant featuring an open kitchen and a scenic 180° view with glass walls is now decked with Christmas decorations where guests can have an enjoyable ambient dining experience. Taza Fresh Table restaurant is open to all and is located at Taal Vista Hotel along Kilometer 60, Aguinaldo Highway, Tagaytay City 4120 Philippines. For inquiries and reservations, please call +63 (2) 917 8225, +63 (46) 413 1000 or +63 (917) 809 1254. Stay connected with Taal Vista Hotel. Visit our website at www.taalvistahotel.com and join us on Facebook (facebook.com/tazafreshtable) and and Instagram (@tazafreshtable). The largest global sports media property in Asian history, ONE Championship™ (ONE), has just announced the full card for ONE: WARRIORS OF THE WORLD, set for 9 December at the Impact Arena in Bangkok, Thailand. The absolute best in local and international martial arts talent are ready to take the ONE Championship cage by storm to showcase their unique skills. In the main event, reigning ONE Strawweight World Champion Yoshitaka Naito will defend his title against Alex Silva. In the co-main event, Thai martial arts hero Shannon Wiratchai battles Rasul Yakhyaev in a ONE Lightweight World Championship title eliminator. Ticket information for ONE: WARRIORS OF THE WORLD is available at www.onefc.com. Reigning and defending ONE Strawweight World Champion Yoshitaka “Nobita” Naito of Matsudo, Japan, is unbeaten in his professional career with a perfect 12-0 record. He owns six victories by submission and one by knockout. The 33-year-old, who made a name for himself at Japan’s world famous Korakuen Hall competing for Shooto as its Flyweight Champion, captured the ONE Strawweight World Championship by submitting Dejdamrong Sor Amnuaysirichoke in his promotional debut in 2016. Naito makes the second defense of his strawweight belt against Alex Silva. Alex “Little Rock” Silva of Sao Paulo, Brazil, is a second-degree black belt and Brazilian jiu-jitsu world champion feared for his relentless pursuit of submission finishes. Silva is riding high on a five-bout winning streak, rapidly climbing ONE Championship’s stacked strawweight ranks. He is a technical grappling specialist with a penchant for securing highlight-reel submissions. With steadily increasing confidence, Silva’s last five victories have all ended in spectacular fashion. In his most recent contest, Silva made quick work of the highly-regarded and previously unbeaten Hayato Suzuki, earning him an opportunity for the ONE Strawweight World Championship. Shannon “OneShin” Wiratchai of Thailand is one of the most thrilling offensive innovators in ONE Championship. The creator of the OneShin Striking System, Wiratchai developed his own style which incorporates various elements from Muay Thai, boxing, wrestling, and Brazilian jiu-jitsu. Training out of Tiger Muay Thai and Bangkok Fight Lab, Wiratchai emerges as Thailand’s biggest and most exciting martial arts star. In his last bout, Wiratchai made quick work of Rajinder Singh Meena, stopping his foe with a knee to the abdomen in less than 30 seconds into the first round. Wiratchai seeks to continue his winning ways as he faces Rasul Yakhyaev in the co-main event of the evening. 26-year-old Rasul Yakhyaev of Grozny, Russia, is a lightweight who has racked up a solid following over his seven-year professional career. A jiu-jitsu and combat sambo practitioner, he is adept in both striking and mat techniques, and is considered a solid contender with tremendous combat skills. A well-rounded warrior, four of Yakhyaev’s victories have come by submission while three have come by knockout. After establishing a name for himself in Eastern Europe, he made his ONE Championship debut in December of 2015, and now seeks to take his career to the next level against Shannon Wiratchai. 19-year-old Christian “The Warrior” Lee, younger brother of reigning ONE Women’s Atomweight World Champion “Unstoppable” Angela Lee, began his professional career on an absolute tear, railing off five straight victories by thrilling finish. He has impressed fans with his ability to seek out stoppage wins over top-caliber opponents. A former Pankration World Champion, Lee toppled fellow top featherweight Keanu Subba of Malaysia in his most recent bout, winning by third-round submission in a competitive contest to improve his record to 7-1. Known as a creative and fluid striker with unorthodox grappling technique, Lee is now set to face veteran Kotetsu Boku. Kotetsu “No Face” Boku, although originally from South Korea, is a Japanese martial arts veteran and the former ONE Lightweight World Champion. With more than 30 professional bouts on his resume, Boku has the experience of a seasoned professional and has seen it all inside the cage. Always a crowd pleaser, Boku utilizes his dynamic boxing background with stunning knockout power to subdue his opponents. In his last bout, Boku finished elite Filipino warrior Eric Kelly by third-round technical knockout. He’ll now get the chance to put on a show once again opposite Christian Lee. Former ONE Strawweight World Champion Dejdamrong Sor Amnuaysirichoke is a three-time Lumpinee Stadium Muay Thai world champion who has a 8-2 professional record as a martial artist. He is known as a technical striker with quick hands and lightning feet, employing some of the most unique and creative offensive combinations. As a martial artist with over 25 years of competitive experience, Dejdamrong is a seasoned veteran. In his last bout, Dejdamrong took on the Philippines’ Robin Catalan to bag a second-round technical knockout victory. Next, the Thai warrior goes up against Riku Shibuya. Japanese martial arts sensation Riku “The Outsider” Shibuya won the hearts of fans with his exciting, unorthodox style and powerful combinations. With a professional record of 13-4-2, Shibuya has figured in a series of exciting battles throughout his martial arts career. A former ONE Flyweight World Championship title challenger, Shibuya is a veteran and easily one of the most enjoyable competitors to watch. After a short recuperative break in competition, Shibuya returned to the ONE Championship cage against Gianni Subba last August. Shibuya now looks to take on Dejdamrong Sor Amnuaysirichoke in what should be an intense matchup. Rika “Tinydoll” Ishige is a 28-year-old female atomweight from Thailand who trains out of Tiger Muay Thai and Bangkok Fight Lab. She is of mixed Japanese and Thai heritage, beginning her martial arts training at age 9 with aikido and taekwondo. Heavily influenced by her late father who trained in judo, Ishige went on to hone her skills as a martial artist, and turned professional earlier this year. All of Ishige’s victories have ended via impressive finish, showcasing her high-level grappling skills. Ishige looks to get back on the winning track when she takes on Rome Trinidad. 20-year-old Rome “The Rebel” Trinidad of Manila, Philippines is set to make her ONE Championship debut. The atomweight competitor is a practitioner of Sikaran, an ancient martial arts discipline which originated from Rizal province in the Philippines. With no written history, Sikaran was passed on from generation to generation by succession. A former National Sikaran Champion training out of Elorde Gym, Trinidad is ready to showcase her skills to the world. She takes on Thai martial arts star Rika Ishige in her first assignment. “The Panda” Xiong Jingnan of Shandong is an upcoming female flyweight contender in ONE Championship, and is known as one of the top three leading female martial arts talents in China. With a professional record of 9-1, Xiong began her career competing in professional boxing and was inspired by her father, who imparted in her values of courage and integrity. Featuring a wide array of skills, Xiong recently bagged a gold medal at the prestigious China Open Brazilian jiu-jitsu tournament in 2017. With a penchant for scoring highlight reel finishes and executing powerful slams, Xiong has chosen to join ONE Championship as the ultimate test of her skills. Training at Phuket Top Team, and representing Alliance China, Xiong aims to showcase her martial arts talent to a global audience. She faces the Philippines’ April Osenio in her ONE Championship debut. Atomweight standout April Osenio of the Philippines is a member of the famed Team Lakay and is one of its fiercest female warriors. The 23-year-old trains out of the high altitudes of Baguio City along with her more experienced Team Lakay brothers, such as Honorio “The Rock” Banario and Eduard “Landslide” Folayang. A former National Wushu Champion in the Philippines with solid striking and grappling skills, Osenio looks to climb the atomweight ladder to become one of the top talents in the division. In her last bout, Osenio dropped a submission loss to Taiwan’s Jenny Huang, who went on to challenge for the world title. She now seeks redemption, as she steps into the ONE Championship cage against Xiong Jingnan. 30-year-old Sagetdao “Deadly Star” Petpayathai is a Muay Thai specialist and a four-time Lumpinee Stadium champion who has won every major title in Muay Thai. Concluding his Muay Thai career with a record of 162-62-1, Petpayathai made his professional cage debut last March at home in Bangkok, defeating Malaysia’s Kelvin Ong via first-round technical knockout. Voted by Thai media as one of the greatest Muay Thai practitioners in history, Petpayathai is known for his highly technical knowledge in all of Muay Thai’s varied techniques. In his last bout, Petpayathai finished Mahmoud Mohamed via first-round technical knockout. Petpayathai will be taking on Jimmy Yabo next. 36-year-old Jimmy “The Silencer” Yabo is a former Cebuano Featherweight Champion from the Philippines and a veteran of the ONE Championship cage. The martial artist boasts one of the best finishing percentages in the division, having stopped all five of his opponents by either knockout or technical knockout. Although Yabo has experienced highs and lows throughout his career, the dedicated martial artist is looking to add one more to the win column. A taekwondo and boxing specialist, Yabo will have to go through talented Muay Thai star Sagetdao Petpayathai to earn the victory. Former WBA Boxing World Champion Yodsanan “Little Tyson” Sityodtong of Thailand is known as a devastatingly powerful puncher, with the ability to utilize his heavy hands to stop foes with trademark combinations. With 47 knockouts in boxing and all three of his victories inside the ONE Championship cage ending in similar fashion, expect Sityodtong to always be on the lookout for an abrupt ending to his contests. Currently riding a two-bout winning streak, Sityodtong will be going for win number three against Dodi Mardian. Indonesia’s Dodi “The Maung” Mardian is a former Silat practitioner and an Indonesian combat sports veteran. A practitioner of Muay Thai and sanda, Mardian made his cage debut in 2016 after deciding to showcase his talent on the biggest stage of competition. The 33-year-old is looking to make a name for himself in ONE Championship, as he seeks to put his skills to the test in Asia’s toughest proving ground for martial arts. In his next contest, Mardian will take on Yodsanan Sityodtong. Strawweight contender Kritsada “Dream Man” Kongsrichai of Thailand is a martial artist and one of the most promising young athletes in ONE Championship. He made his promotional debut in ONE’s first ever show in Bangkok in 2016, stopping opponent Kev Hemmorlor via first-round technical knockout. In his last outing, Kongsrichai made quick work of Indonesia’s Adrian Matheis, finishing his opponent via first-round technical knockout. Kongsrichai is now set to return to the ONE Championship cage to give another spectacular performance, this time against Rabin Catalan. 31-year-old Rabin “The Rock” Catalan of Iloilo City, Philippines, is a wushu practitioner and a well-rounded martial artist. Featuring heavy hands and lightning quick feet, Catalan made his first ONE Championship appearance against Filipino compatriot Joshua Pacio in April of 2016, showcasing tremendous heart and determination. A powerful striker, Catalan will step back inside the ONE Championship cage looking for victory against Thai standout Kritsada Kongsrichai. 25-year-old Tang De Pan of Changsha, China is a Sanda practitioner and is currently unbeaten as a professional in martial arts. A former Chinese National Wrestling Champion, Tang is highly-aggressive and relentless, always looking for the quick finish. Making his ONE Championship debut in January of 2016, Tang defeated countryman Zhou Biao with a highlight-reel knockout by slamming his opponent emphatically to the mat. Tang now returns to competition after a recuperative break to face Asraful Islam. 21-year-old bantamweight Asraful “Warrior” Islam of Dhaka, Bangladesh, is a martial artist making his professional debut. With an amateur career that saw him go a perfect 2-0, Islam is the former UFI Bantamweight Champion. Specializing in wushu, boxing, Muay Thai, and Brazilian jiu-jitsu, Islam is incredibly well-rounded and is ready to put his skills on full display. A former National Wushu Champion in Bangladesh, Islam makes his ONE Championship debut against Tang De Pan. Step back from your busy schedule and treat yourself to a relaxing spa experience! 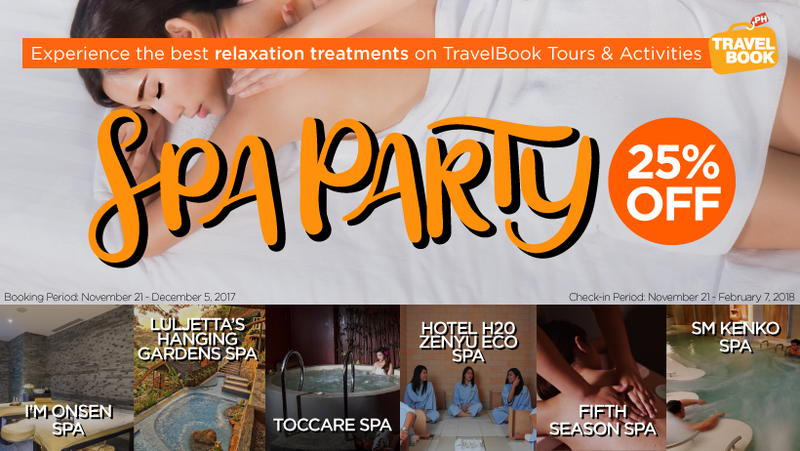 As a pre-holiday treat from the leading local online travel agent (OTA) in the Philippines, customers can now score up to 25% off on exciting spa deals from luxurious spas like Toccare Spa, Hotel H2O Zenyu Eco Spa, The Fifth Season Spa, Luljetta’s Hanging Gardens Spa and I’M Onsen Spa. Take advantage of these exciting spa deals by booking your preferred spa treatment from November 21 to December 05, 2017. Check-in date must be within November 21, 2017 to February 07, 2018. 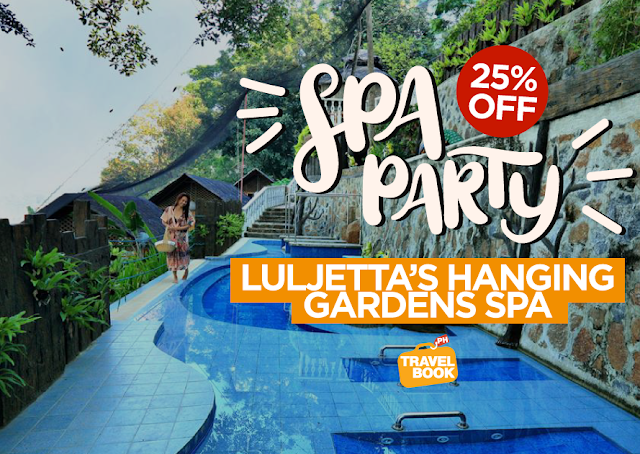 If you’re planning to have a relaxing spa party that is a few-hour drive from the city, come and visit Luljietta’s Hanging Gardens in Antipolo City. They have packages that can give you an access with their infinity pools, jacuzzi, sauna, hydro-massage pool and other amenities apart from a relaxing massage. You may opt to try their Nurture Spa Package, Rejuvenate Spa Package or Comfort Spa Package which comes with a free set meal and snack. You may also try their signature massage with their exciting scrubs like the red wine scrub or coffee scrub. More than the relaxing massage that they offer, they also offer packages for a quick getaway or retreat that comes with a free snack. 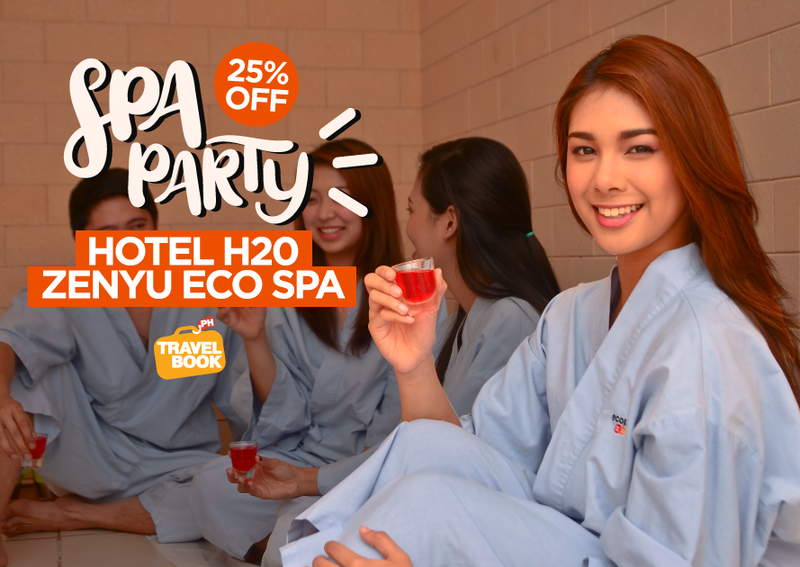 For a relaxing treat at the heart of Manila City, customers may try out Hotel H2O Zenyu Spa and try their signature Hot Bed Treatment. Hotel H2O Zenyu Spa is said to be the first spa in the Philippines that offers negative ion infused hot bed treatment. You may also try their Full Body Fish Spa25% off on its original price. If you’re planning to have a relaxing spa party within Ortigas center, drop by The Fifth Spa and choose from their exciting massages. To give you a fully relaxing experience,their rooms are designed in different seasons: autumn, winter, summer, spring and fifth season. Try out their Luminous Pearl Therapy or their Green Tea Crush Massage in a discounted price. They also have a classic full body massage, Japanese Zen Shiatsu and foot reflexology. 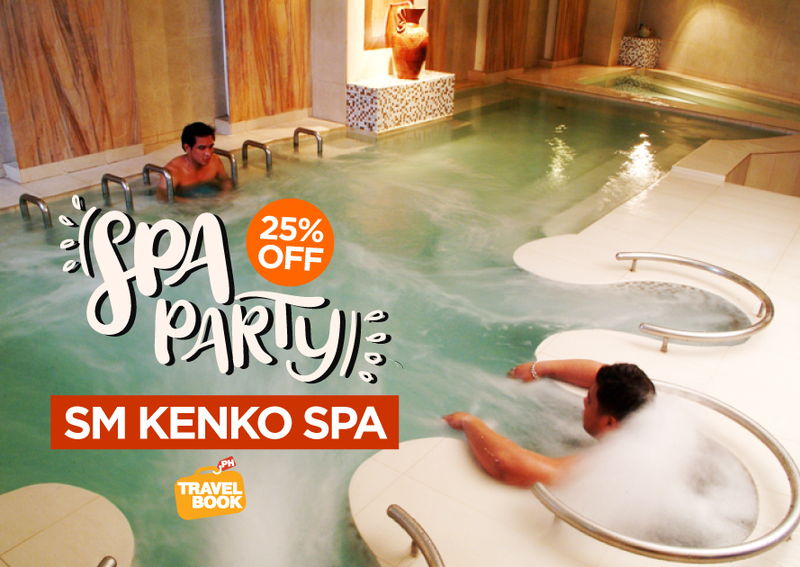 In addition to these great spa deals, SM Kenko Spa is also offering a one-week super sale on their Classic Massage or Sparomatherapy. Customers may also enjoy up to 25% off on its original price if booked within November 21 to November 28, 2017. The check-in date must be within November 21, 2017 to February 07, 2018. There are also other spa deals available at TravelBook.ph that customers may choose from. 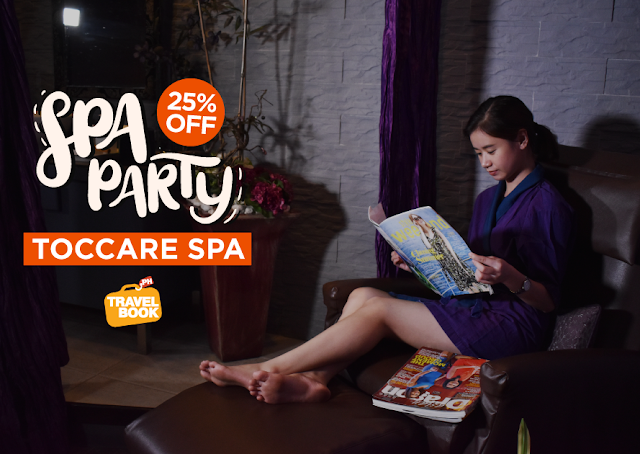 For a relaxing treatment within the vicinity of Metro Manila, customers may check out exciting deals from popular spas like Oren Thai and Hua Spa. For vacationers unwinding at Boracay, they may check out discounted spa deals from Danaro Spa, Poseidon Spa, Golden Tree Spa and Tirta Spa at Prashant Pavilion. For more exciting spa deals and promos, please check out www.travelbook.ph/tour. The Light Rail Management Corporation (LRMC), the operator of Light Rail Transit Line 1 (LRT-1), today advised passengers to avoid forcibly opening train doors. The LRMC made the public advisory after one of the doors of a train failed to close while running from V. Cruz Station to Quirino Station. Based on the LRMC investigation, the unidentified passenger forcefully opened the train door when it did not immediately open upon stopping at V. Cruz station at around 6:57 PM last Monday (November 27) night, allowing passengers to board the train. However, the door failed to close upon departure from V. Cruz station. According to the other passengers, the passenger who forcefully opened the door got off at Quirino Station. The LRMC management has instructed all guards at the station platforms to strictly implement the “no forcible opening of doors” policy to avoid similar incidents that may potentially put the lives of passengers at risk. LRMC pointed out that forcibly opening doors is causing train failures, both in LRT-1 and Metro Rail Transit Line 3 (MRT-3). This may lead to door mechanism failures, which is the top 3 cause of train failure and unloading incidents. The Japanese king of romantic films, Kento Yamazaki, will star in the highly-anticipated drama series, “Kiss that Kills”, which premieres same time as Japan on January 7, 2018 at 9:00pm (8:00pm JKT/BKK). Kento Yamazaki plays the role of Otaro, the most sought-after host at a nightclub whose only passion is fearless pursuit of money and power. When Otaro is kissed by a mysterious woman, he dies but quickly comes back to life. What is the true identity of this mysterious woman? Can Otaro unravel the mystery behind the deadly kiss and the time loop? “GEM has established its foothold as the top regional destination for extraordinary North Asian entertainment. “Kiss that Kills” is a testament to our ongoing commitment to consistently bring fans premium quality and highly creative content that captures their imaginations. Fans of Kento Yamazaki can expect his most breathtaking performance yet, and it’s one that is rich in mystery, drama and intrigue,” said Virginia Lim, Senior Vice President and Head of Content, Production and Marketing, Sony Pictures Television Networks, Asia. To celebrate the premiere of “Kiss that Kills”, GEM fans from around the region will have the unprecedented opportunity to win an all-expenses paid trip to Hong Kong to meet Kento Yamazaki. In this up-close and personal closed-door session, Kento will share his thoughts about the drama, interact with fans and autograph exclusive drama merchandise. The meet-and-greet session will take place on January 21, 2018 and will be streamed live on Facebook on www.facebook.com/gemtvasia. “The GEM experience is all about bringing content beyond the screen and into the real world to create “money-can’t-buy” experiences for our fans. 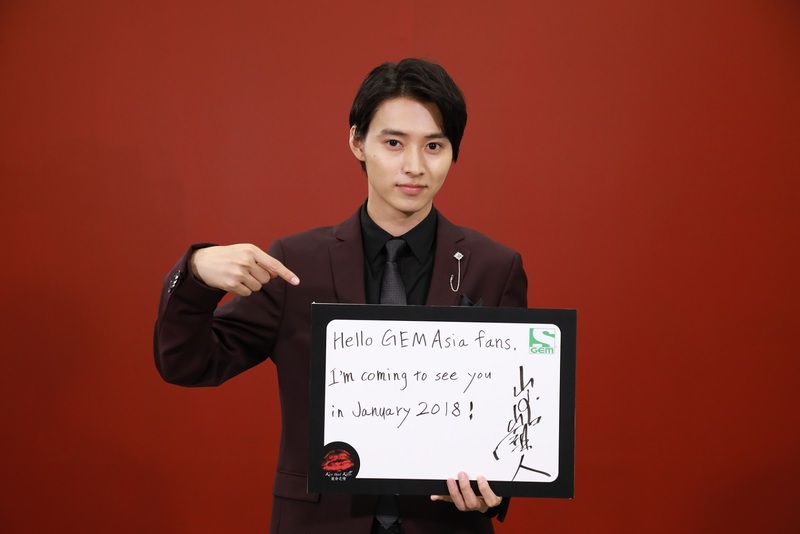 This exclusive event featuring Kento will mark the first time in Asia that GEM subscribers will have the opportunity to spend time with their favorite actor – it will be a dream fulfilled for many!” said Virginia. Kento Yamazaki made his debut in 2010 and rose to stardom with his role as L in the massive hit TV drama adaptation of “DEATH NOTE”. Since his debut, Kento Yamazaki’s versatility as an actor has made him a rising star in Japanese entertainment. Fans can get their “Kento-fix” on GEM this December with the premiere of “Baseball Brainiacs” on December 13, every Wednesday and Thursday at 9:00pm (8:00pm JKT/BKK), and “Sea Side Blue”, premiering December 30, Saturday at 7:30pm (6:30pm JKT/BKK). “Kiss that Kills” premieres on GEM same time as Japan on January 7, Sunday at 9:00pm (8:00pm JKT/BKK), subsequent episodes will air on Sunday at 9:30pm (8:30pm JKT/BKK). GEM is available in the Philippines through SKYCable Ch 116 in Metro Manila and Ch 222 in Cebu, Davao, Bacolod, Iloilo, and Baguio, as well as other cable operators nationwide. For more information on GEM channel and the latest telecast details, visit http://www.gemtvasia.com/ or follow our conversations on social media (@GEMtvasia). Part of ONE Championship’s mission in Asia is to bring its unique vision of authentic martial arts to all corners of the region, from its far reaches to even the wonderful nation of India. ONE Championship Chairman and CEO Chatri Sityodtong is in the country to speak at the prestigious 2017 Global Entrepreneur Summit (GES) and had the opportunity to take part in a private audience with His Excellency Narendra Modi, Prime Minister of India. In a meeting which took place on Tuesday, 28 November 2017, Sityodtong got the chance to present a few topics of discussion, including how India could emerge as a potentially huge new market for ONE Championship, as it expands aggressively across Asia and the rest of the world. 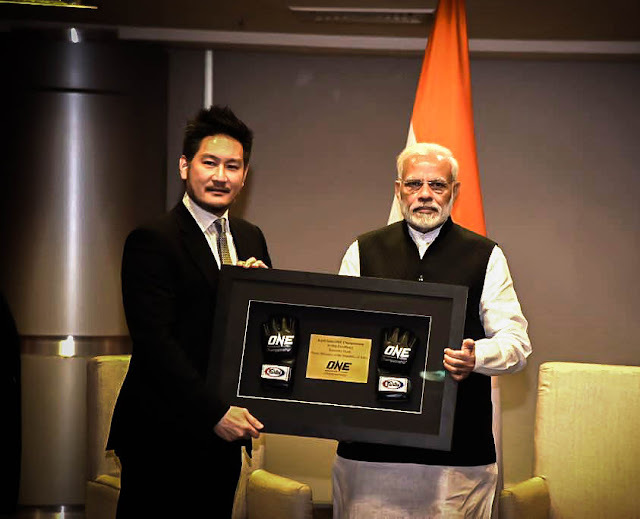 In addition, Sityodtong also presented Prime Minister Modi with a plaque of appreciation and a set of framed authentic ONE Championship gloves. Modi is the 14th and current Prime Minister of India who took office in May of 2014 and is well-loved in his nation, receiving consistently high approval ratings with nearly the entire population rating him very favorably, approving of his government. Among the topics presented to Prime Minister Modi include talks about traditional Asian culture, the power of martial arts, the rich martial arts history of India, and the possibility of a live event on Indian shores. Prime Minister Modi is a well-known advocate of Yoga, which is deeply rooted in martial arts culture and history. It is also a wildly popular practice all over the world that provides incredible health and wellness benefits while promoting healthy living. Sityodtong himself shares similarities to Modi, as he is tasked to lead ONE Championship into a billion-dollar sports media property in the coming years. Established in 2011, ONE Championship was a dream turned reality for Sityodtong, who aimed to build a global sports media property and unite over 4.4-billion people under a single sport. Now, more than six years later, ONE Championship is the largest sports media property in Asian history with a reach of over one billion viewers on any given night, broadcast to 128 countries worldwide. ONE Championship’s aggressive expansion and growth across Asia, dominating both social media and television viewership metrics since its inception, has been well documented. In the past three years alone, ONE has come to a peak TV ratings share of 1-2% to a staggering 11-36% projected by the end of 2017. That is up to 36x the amount of growth. In comparison, TV ratings in Asia for global sports media properties such as the EPL, F1, and the NBA only sit at 1-6%. This includes an increase in annual TV broadcast per core country, coming from 12-18 hours to a phenomenal 100-2800 hours, a more than 230x spike. With the promotion planning a record 24 live events throughout the entirety of 2018, a move into India makes sense in the very near future. India’s rich cultural history presents massive potential for the promotion in tapping into that diverse background of martial arts. Featuring a population of over 1.2 billion people, the second-most populous in the world, the untapped potential is virtually limitless for ONE Championship. Cooking up a Feast this Christmas?